On this WIP Wednesday, I don’t have a lot of knitting progress to show. Which is not to say that progress hasn’t been made on the knitting front. On Friday you will get to see a Finished Object that was completed last Sunday. I know, I know. But you will just have to wait. I haven’t been doing a lot of knitting, but I have been doing some. I’ve knitted a few more repeats on the second My Broken Heart sock, and Cassidy’s first sleeve is nearing completion. But there just isn’t enough progress to warrant taking pictures. The spinning front is a different story. I have four spinning projects in progress, three of which are my Wednesday WIP. The fourth one will be a blog entry unto itself sometime down the road, but I won’t talk about it today. So let’s start with the project that is furthest along. About a year ago, I bought this braid of gradient fiber from Spinneretta’s Studio. It is Polwarth in a colorway called Monochrome. A gradient colorway is one in which the fiber/yarn goes from one color to another to another gradually. The colors can all be shades of the same hue or they can be very different colors. But the colors never repeat. Gradient colorways provide a spinner with a wonderful opportunity to be creative. There are many different ways one can spin up a gradient. The most obvious one is spinning up the roving without splitting it. Just pull of a length of fiber and spin the colors in the order they appear in the braid. The yarn can either be finished as a singles yarn or chain-plied to created a gradient 3-ply yarn that shows off the lovely color changes. 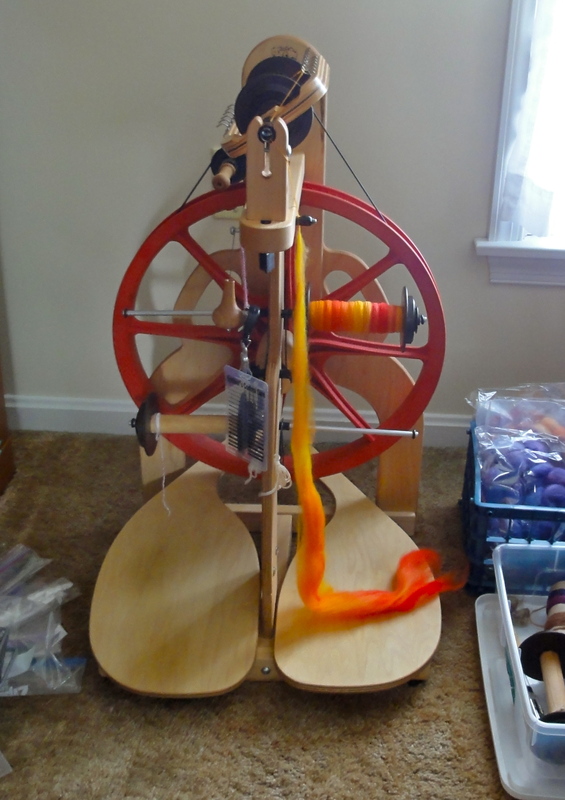 I chose to spin the braid into one bobbin of singles, then chain-ply the singles. My chain-plying has improved by leaps and bounds in the past month (thank you, Tour de Fleece! 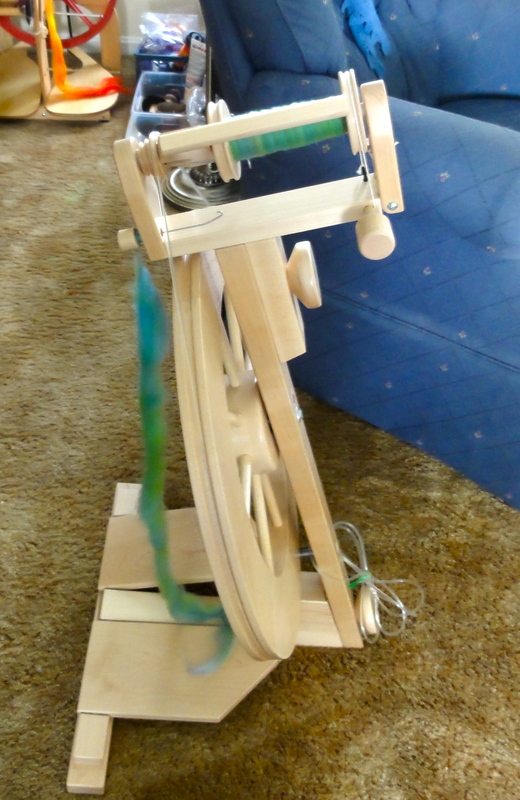 ), so the time seemed right to finally spin up this braid of fiber. The yarn is currently on the niddy noddy. Just look at that color progression! I hope you can make out the colors in the yarn. They range from the palest of café au lait to the darkest espresso. I very pleased with how well this yarn turned out (and I know it will become even better when I set the twist), and I’m feeling ready to tackle the other gradient colorways I have in my fiber stash. Some of them will be spun and plied in the same manner as the Monochrome, but I think I might try splitting a braid in half lengthwise and spinning each length onto a separate bobbin starting on opposite ends to reverse the color progression. It will be interesting to see the results. 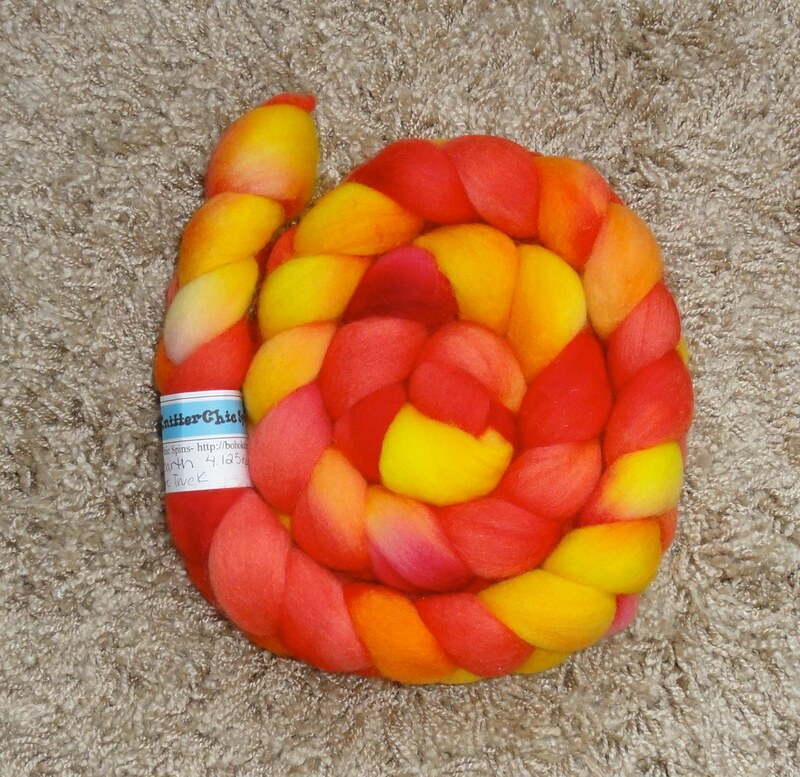 And I might give fractal spinning a try with a gradient. Oh, what fun! And speaking of fun, how could anyone not have fun working with these gorgeous colors? These colors make me very happy! I divided the braid in half lengthwise, then divided each length in half, also lengthwise, which means I have four bumps of fiber to spin up that are approximately the same weight with the colors in the same order. My current plan is to make a 4-ply yarn, but I’m seriously considering chain-plying instead because I love how the colors are striping when I spin them up. 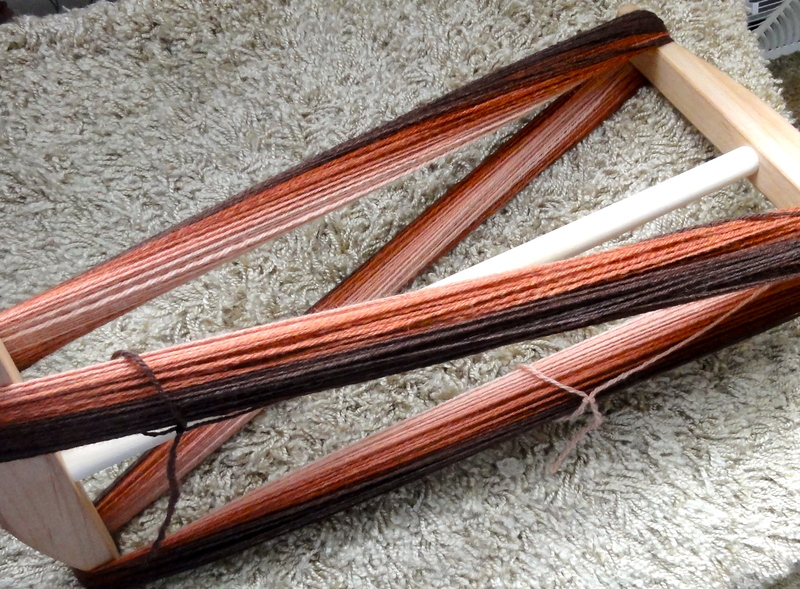 When I get all four bobbins spun up, I’ll ply a few yards and knit it up to see how it looks. If I love it, the yarn will become a 4-ply. If I don’t, I’ll chain-ply the singles instead. 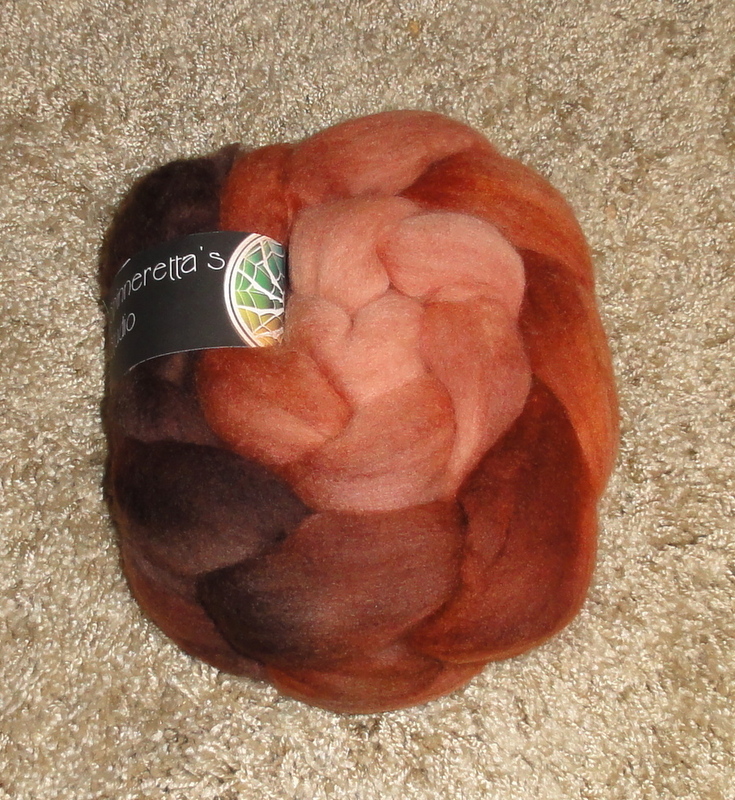 I have no doubts about what my third spinning project will become. The superwash Merino wool and Nylon blend I bought from Mustard Seed Yarn Lab was born to be sock yarn. No one could resist such pretty fiber! Every time I spin Merino, I am amazed yet again at how very soft it is. So soft. So very soft. And this yarn is spinning up in the most lovely shades of green imaginable. It will make lovely socks, I have no doubt. 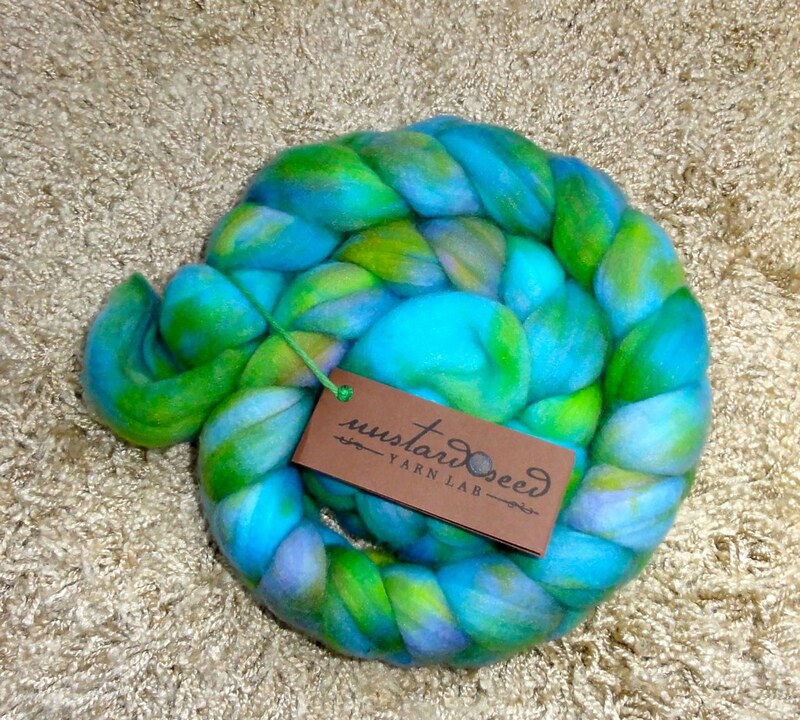 This entry was posted in Spinning and tagged BohoKnitterChic, chain plying, gradient roving, gradient yarn, hand spinning, handspun yarn, Lendrum spinning wheel, Mustard Seed Yarn Lab, Polwarth, Schacht Ladybug spinning wheel, Spinneretta's Studio. Bookmark the permalink. Lovely spinning and beautiful colors of fiber. I especially love the polwarth gradient. Oh my goodness! That’s my roving! And there it is being all spun up! This is so very cool…I’m glad I found your blog!